Thesee carniverous mollusks are found in moist areas of New Zealand forests. While they are certainly gross, earthworms, smaller snails, and slugs are pretty much the only ones who need to fear the mighty Powelliphanta. Most of this genus are endangered and they spend their nights being hunted by mammals like the weka, a flightless bird endemic to New Zealand. Introduced predators like goats and cows have thinned the snail’s numbers significantly. 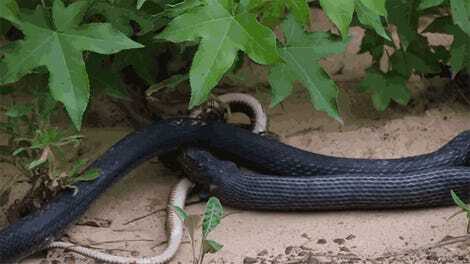 For its unfortunate victims, the Powelliphanta delivers a gruesome death. 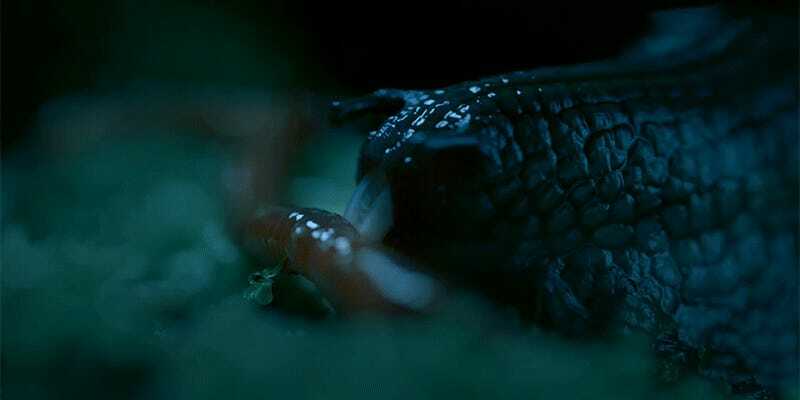 It may look like that worm was swallowed whole, but in reality, it’s slowly being scraped into pieces within the snail’s radula. Take it all in for yourself in the clip below.